Are you sad to say that your PC is slowly but surely becoming the bane of your existence? Though you try your best to do what you think is going to promote a computer that runs in a quick and efficient manner, you end up with a system that’s slow, that has pop-ups you cannot seem to control, and more. Not to worry! All you need is a bit of additional education and your invite to the upcoming Healthy PC Workshop in Conroe, TX is just what you’ve been hoping to find! Don’t miss it. 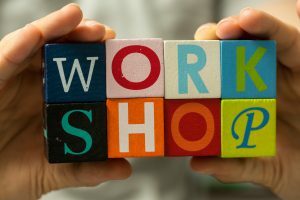 The Healthy PC Workshop, hosted by WOAMTEC Conroe, will provide you with the comprehensive approach to a problem-free computer that you need. Expect to learn all about troubleshooting and fixing a sluggish computer, dealing with unwanted ads, addressing storage concerns, and more. The opportunity to learn all about how to clean up and speed up your computer will take place on February 9th, 2019 from 3pm to 5pm. The cost of this workshop is $15 per person. How May I Learn Even More And Register? In order to learn more and to register for the upcoming event, you may contact Jennie Taylor at 832-920-8555. We invite you and your smile, of course, to schedule time to sit down with our friendly team any time you require dental care. Whether you are ready for preventive services, restorative, or otherwise, call us! Come in for a visit in Conroe, TX by scheduling a visit with the Dental Centre of Conroe by calling (936) 441-4600. We serve patients from Conroe, Houston, The Woodlands, Willis, Montgomery, Magnolia, Huntsville, and the neighboring communities. Dr. John M. Richards believes in focusing on our patient’s comfort and offering a personalized approach to dental care. With a comprehensive array of dental services, Dr. Richards can help you achieve optimal dental health. Who Is Protecting Your Smile? Your Toothbrush: Is It Working For You…Or Not? Something Stuck Between Your Teeth? Make Wise Choices!